It has been said that imitation is the sincerest form of flattery. That being the case, Grant King was overflowing with sincerity. The Canadian-born man with Chinese heritage was known for making copies of nearly every USAC car that was the current ‘hot ticket.' Grant started out crafting supermodifieds, sprint and midget cars, making some terribly quick machines, such as Art Sugai's 'Pink Lady' sprint car, that was driven to great success by Art Pollard, Jack Eckman and Kenny Hamilton. 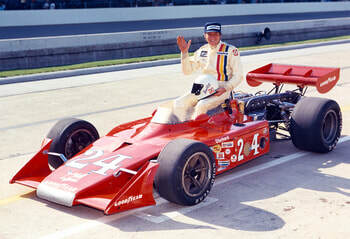 In 1970, Grant made a copy of the successful Mongoose chassis for Art Pollard that ran into the 1973 season and had some success early on, making the 1970 and 1971 Indianapolis 500 races. For 1972, King managed to snag some former McLaren mechanics to copy the then earth-shattering M16, but the team missed the mark, as they used photos to copy the McLaren and somehow got the sizing wrong on the chassis, making it 7” too long. In 1976, Grant King Racers made a copy of A.J. Foyt’s Reilly-penned Coyote and called it a Dragon after they were hired on to help 'Supertex' make cars the winter before. A.J. and his crew were surprisingly gracious about the King copy and his crew and were humbled by the craftsmanship. By 1981, King would copy a Penske PC-7, but by then big money was being brought into the sport and King’s small team didn’t have the means to keep afloat, despite the fact that King even had copies of Cosworth engines cast by his longtime sponsor Oberdorfer to try to reduce costs. In KMPR's possession is a car that King copied for the 1973 season, a facsimile of one of Dan Gurney’s All-American Racers Eagle chassis. It wasn’t hard for King, as his shop was next door to friend A.J. Watson’s building, which housed the shiny new 1972-year Eagle cars of Leader Cards Racers, the team owned by the Wilke family of Milwaukee, Wisconsin. Watson agreed to let King borrow an Eagle for a weekend. In return, King made Watson extra body pieces for his Eagles. 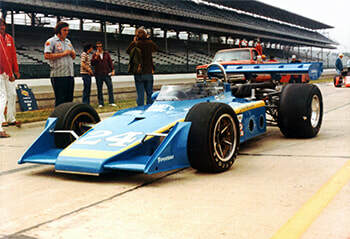 So it was that King’s entry at the 1973 Indy 500 was a mirror copy of a 1972 Eagle, of which AAR produced 29 of for use. This infuriated Gurney, who had made a production run of Eagles that were relatively low cost for the average race team. His label of the Kingfish name was ‘Chinese Eagles.’ While the three tubs that King made were of the same design and quality, the small team never won a race, though Gary Bettenhausen did manage to bring home one of the three Kingfish cars, , to a second-place finish at the Mosport 200 road race. KMPR is currently in the process of restoring the former #24 Grant King Racers entry that raced from March 1973 to May 1975 with drivers Steve Krisiloff, Tom Sneva and Bentley Warren before it was involved in an accident in the Indianapolis 500 with Jimmy Caruthers when the track was hit with monsoon-like conditions. Warren could not stop his aptly-named Kingfish, and slid into the back of Caruther’s #78 Morales Bros. Eagle-Offy. The tub of the Kingfish was smashed in around the left-front of the footbox, rendering the tub useless without major fabrication. The team showed up for the 1975 Pocono 500 with a new tub, , with the rear bulkhead of  installed in it. Chassis  ran up until 1983 for Giuffre Brothers Crane and Luxury Racers. Tub  resides nearby in the showroom of the Giuffre Brothers Crane office. Kingfish chassis  is now being restored in New York. It ran up until 1980 when Tony Bettenhausen, Jr. wrecked it in practice in Watkins Glen. 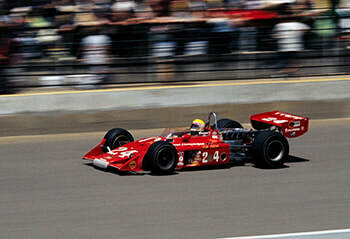 The Kingfish's race-by-race history is still being confirmed, as GKR did use both cars throughout the 1974 season, and identifying which car raced at which event is based on photos and first-hand authoritative interviews.